Yesterday, I said you should plagiarize yourself, that is, take your previously written, recorded, and presented material and re-use or re-purpose it. 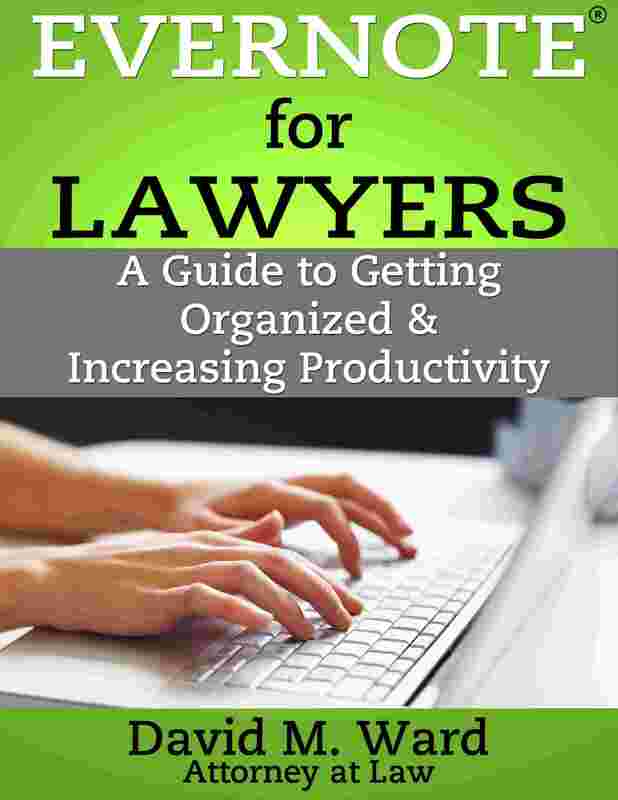 I also suggested that you pay attention to the emails, documents, and other materials sent to you by other lawyers, and use it for ideas for creating your own materials. Today, I’m going to take things a bit further and suggest you blatantly steal from other lawyers. Now, don’t lose your lunch. I’m not going to tell you to do anything illegal, immoral, unethical, or unbecoming of a professional. Go online and find content in your practice area that other attorneys are publishing–on their blogs, in guest posts, articles and anywhere else you can find it. Look especially for material that is getting a lot of traffic, upvotes (Medium), Likes, shares, comments, and so on. You might use a tool like Buzzsumo. Re-write the headline, optimize the headline and body for keywords you target, and you’ll not only have new content for your blog or website, you’ll have something you know is likely to bring traffic and engagement. And you’ll never again say, “I don’t know what to write about”. When I started practicing there was no Internet, few attorneys had computers or even fax machines, there was no social media, email, or instant messenger. We talked to people in person or on the phone. Or we mailed them a letter. Marketing was done the old-fashioned way: networking, speaking, writing, and referrals. Oh yeah, we also had the Yellow Pages. Yes, I’m an old fart. 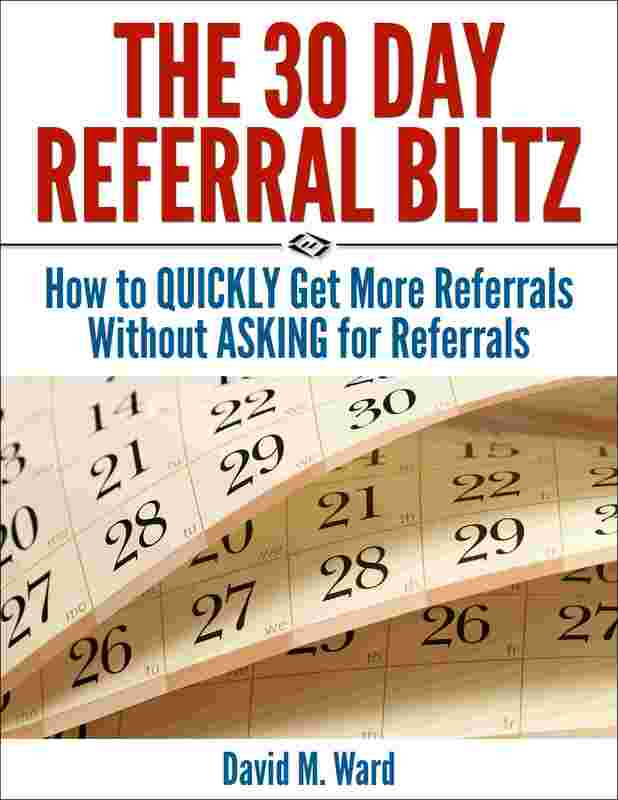 By the time I retired from active practice, most of my business came from repeat business and referrals. It took a long time to get there but when I arrived, it was nice. My father would tell you a similar story. So would my accountant, who is still practicing. To the best of my knowledge, neither have ever had a website or social media account. If you’ve built your practice to a point that it sustains itself and continues to grow through repeat referrals and referrals, mazeltov. You can do whatever you want. If you haven’t done that, if you are struggling, or if you still have big plans and a lot of gas in the tank, you need to consider doing some other things. For starters, you need a decent website. Today, when someone tells a friend about you, that friend goes online to check you out. If you don’t have a website where you can tell your story, show the world what you do and why someone should hire you, that friend may wind up in some other attorney’s waiting room. If you have a website but it looks like something circa 1998, or you use AOL as your email provider, you’re not doing yourself any favors. I’m not saying you need a great website. Just one that looks like it’s from the 21st century with some good content. Get your own domain name. And make it easy for visitors to call, email, follow you, share your content, and sign up for your newsletter. This is not difficult to do. Or expensive. And if you do it right, your website can do a lot of your marketing for you. When someone searches for a lawyer with your qualifications, or when someone (that includes you) sends them to your website, it can show them what they need to know, answer their questions, overcome their objections, and persuade them to take the next step. One day, you might not need a website. Until then, you might want to turn off the Starsky and Hutch reruns and get to work. People contact you and ask about your services. Or they find your website and have a look around. Some of those people are looking for X service because they believe that X is what they need. 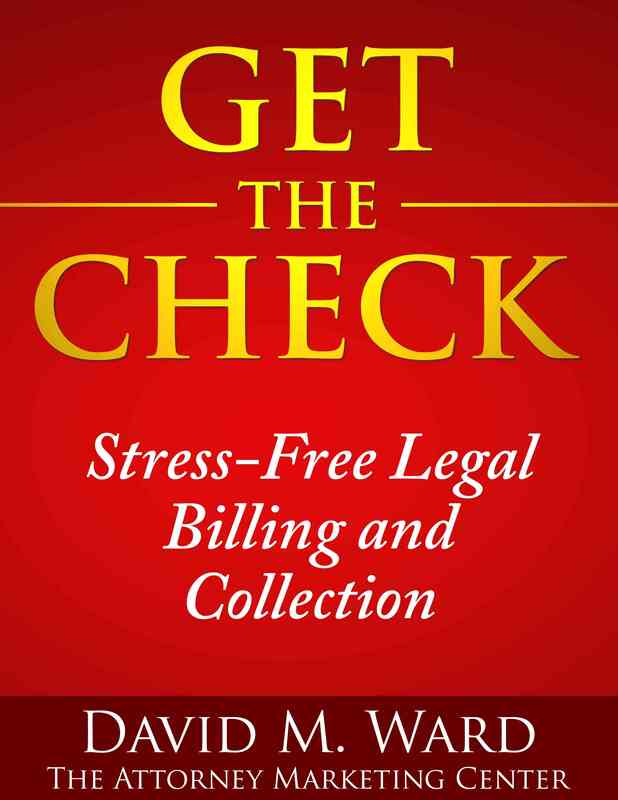 Other people don’t know what they need, they just know they have a legal problem. If you’re smart (and you are), you’ll tell people about both the solutions (services) you offer and the problems you solve. You have a “Services” or “Practice Areas” page on your website, right? If you don’t, uh, hello, McFly? If someone finds your website by searching for X, you want to show them that you do X, right? You should also have a “Problems We Solve” or a “How We Can Help You” page that describes the problems you solve, prevent, or mitigate, or the objectives you help clients attain. Your “Problems” summary page should then link to pages where you present text and video content about those problems and the solutions you offer. You can then link to your specific “Services” pages(s). Make sense? Sure. It also makes dollars. When my daughter was in grade school I went with her on a field trip to Sacramento. One of the events on the agenda was panning for gold in a stream that once teamed with prospectors. They spent their days sifting through water, dirt, rocks, and sand. The more “non-gold” they got rid of, the more gold they found. There’s a marketing lesson in this for lawyers. If you want to find more “gold” (bigger cases, better clients), you need to get rid of as much non-gold as possible, as quickly as possible. 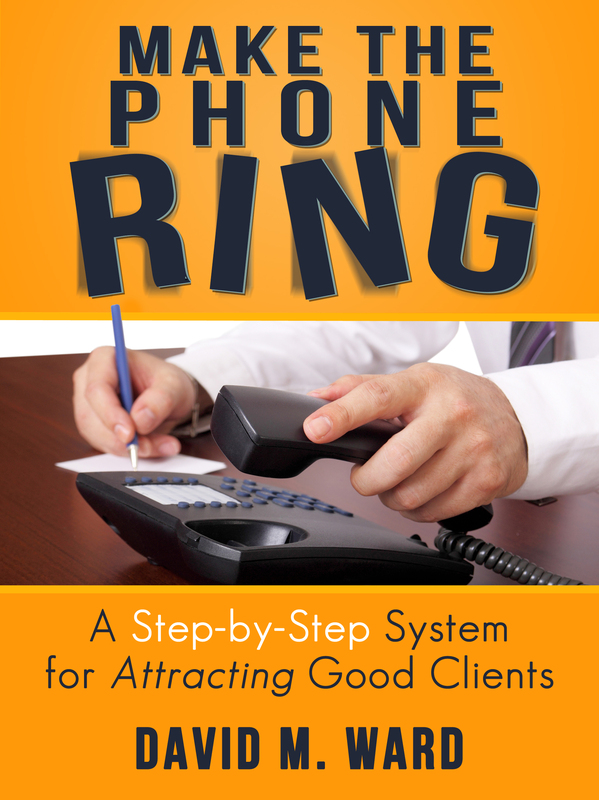 Why spend your time and resources courting clients who aren’t a good fit for you? 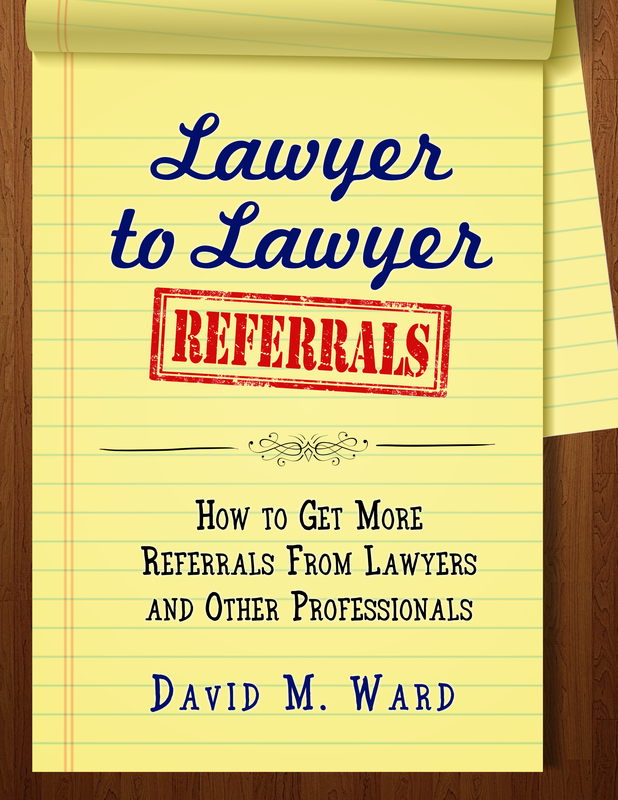 Other lawyers filter out cases and clients they don’t want after they talk to prospects. What if you filter them out before you talk to them? When you create a profile of your ideal client, make a list of clients and cases that aren’t ideal. If you handle plaintiff’s personal injury cases, for example, your second list might include fender benders and soft tissue injuries. Then, create a page on your website and describe the clients who aren’t a good fit for you. You’ll stand out for being honest and transparent. You’ll build trust and create higher perceived value for being selective. 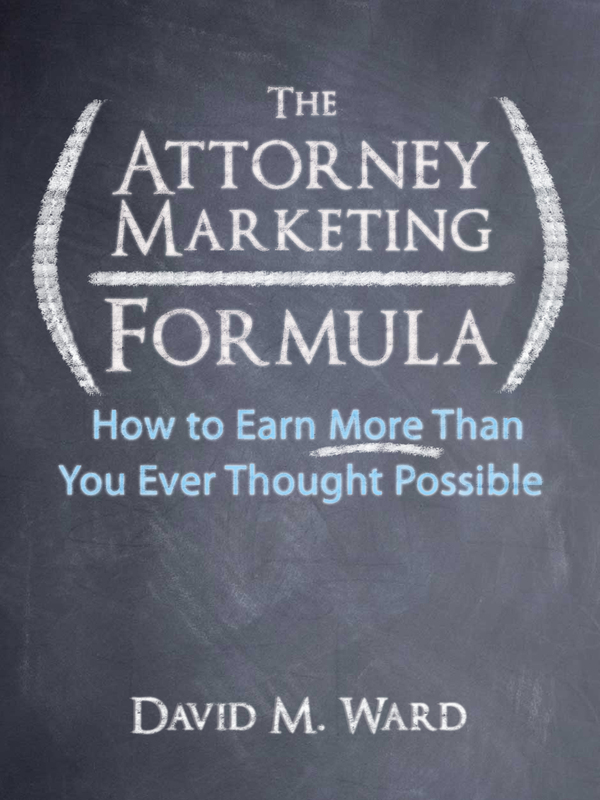 You’ll attract better clients who see that unlike other lawyers, you don’t take anyone as a client. Be honest about what you don’t want. You’ll get rid of more dirt and find more gold.